Dubai: Open a certain number of retail stores, create more F&B options, and provide ample space for cinemas and family entertainment arcades — that used to make for a successful mall. But that’s not how Timothy Earnest sees it. 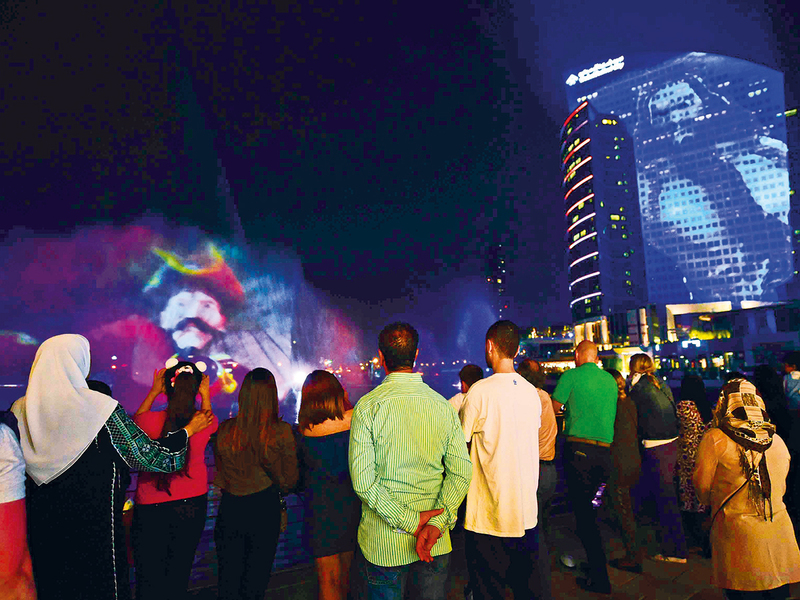 “There’s a fourth pillar that malls will need to have … and that’s about setting up moments or experiences that are special,” said the CEO of Al-Futtaim Malls, the developer of Dubai Festival City and of the upcoming Festival Plaza in Jebel Ali. What shoppers here keep telling us every Friday and Saturday is that they love going to the malls. Mall retailing in the age of e-retailing has essentially become a story of how well they do on weekends. Get crowds flocking in from Thursday evening to Saturday closing time and mall owners have reasons to cheer. If they manage to repeat this over multiple weekends, that makes for a good year. This is where the social aspect comes in. Earnest reckons that mega-malls in Dubai have an inbuilt advantage over their counterparts in the US or Europe in getting this right. “What shoppers here keep telling us every Friday and Saturday is that they love going to the malls,” said Earnest. “But you don’t see this four-pillar formula elsewhere — 70 per cent of the mall space in the US are with anchor stores. So, if one big store closes, it could cause problems for the entire mall. Those are outdated concepts … and it’s been said plenty of times. But there is one detail that mall developers in the UAE and the Gulf could still do a whole lot better — not take too long building the next generation of malls. “The gestation period for new malls once they open is seven to eight years,” he added. “If the developer wants to fit in all the elements to make a mall unique, it means taking a far longer time to build. When that happens, some of these elements may no longer sound cool to visitors. “What should work better is developers thinking more in terms of “phasing” — do the opening in three years and then add new phases. We expect new assets coming to market to focus on big-box anchors such as a cinema, family entertainment, supermarkets or fashion retailers focusing on fast fashion, for example. - Anthony Spary, Associate Director at CBRE M. E.
Between now and 2021-22, Dubai will open the doors to a range of new mall destinations, from the one on the Palm (the Nakheel Mall) to a massive one for Deira Islands. And onshore, there are the Meydan One Mall, while Emaar is closing in on the opening date for the one in Dubai Hills. Al-Futtaim Malls is busy with the Festival Plaza development, which will add 650,000 square feet of gross leasable area in Jebel Ali, fast emerging as a residential location of choice for freehold property owners. “We didn’t want to force the market with many more square feet of (leasable) space and be something other than where the opportunity is,” said Earnest. (The Festival Plaza, which will have an Ikea, is scheduled to open late this year.) Is there a perfect formula that mall developers need to work on? Say, ‘x’ percentage space for retail, ‘y’ for F&B, ‘z’ for entertainment and then spread the property with experience-generating opportunities? “There’s no magic formula — but all four elements need to be balanced to some degree and even changed seasonally,” the CEO said. “Even a closed mall has to take advantage of the four months of nice weather we have here. “But instead of relying on outside parties — for the stores, the F&B, and entertainment — mall owners will have to come up with their own ways to create the experiences. Where needed, we will take on partners to do something creative. Amid these shifts, will it mean the end of anchor/big-box stores in malls? Anthony Spary, Associate Director at CBRE M. E., reckons they will be around even at the “next generation of malls”. “However, the format of these stores will certainly evolve,” Spary said. “We expect new assets coming to market to focus on big-box anchors such as a cinema, family entertainment, supermarkets or fashion retailers focusing on fast fashion, for example. ■ The future of retail is getting built now — an upcoming mall in Abu Dhabi will have 23,000 square feet dedicated to eCommerce logistics. The intention, according to the developer of Reem Mall, is to build the “first fully digital smart shopping centre”. “In a world where consumers expect any experience to be literally at their fingertips, we are taking this one step further by creating an on-demand connection between customers and retailers,” said Milat Sayra Berirmen, Digital Experience Manager for Reem Mall at a retail industry event last week. The mall, which will cost $1.2 billion, is to open late 2020 in Najmat District on Reem Island. ■ Fretting about when that delivery might come in? A tech start-up is offering last-mile delivery services to online shoppers in the UAE, hoping that there would be sizeable user base wanting to pay for instant delivery. “It’s the most annoying and stressful part of the e-shoppers’ experience,” said Soumia Benturquia, founder and CEO of Fodel. “What if you can’t wait any longer? Or what if you miss the delivery guy’s call who wants to ask you more questions about your location?” Fodel currently has a network of pickup locations featuring 1,000 merchant outlets across the seven emirates, and has same-day delivery in 95 per cent of cases. During its Series A funding round, it raised $2.6 million and is in the process of raising an additional double-digit funding.